"gjopok" is the new Tygem King of Kings! He fully deserves the title, due to the fact that he played the most beautiful and elevated games. Let's recall the key moments of his way to victory. He defeated the 2 big favorites who played under their real names, "zhoury" (Zhou Ruiyang, 5P, China's number 1) and "YHPak" (Park Yeonghun, 9P, Korea). All the games he won have been by resignation, except the dramatic half-point decider against "zhoury" in the quarterfinals. In the match against "idontca1", he had the power to turn the table after a bad start. The last game was a little bit unusual from the perspective of thinking time. When "gjopok" entered the overtime, "idontca1" had still 12 minutes on his clock. Then, after the interesting sequence, 71 - 73 at D6 - D5, played by black, "idontca1" fell on thoughts at his turn also. He made a successful invasion in the top right corner, with 106 - 108 at S13 - R17, but "gjopok" continued to play so well, that did not leave any chance to white. The tournament kept its specific note of mystery until the last day. According to some early rumors, we still believed, during the first rounds, that "allKO(P)" was Gu Li (instead Chen Yaoye), "idontca1" was Lee Sedol and "gjopok" was Cho Hunhyun. During the final 3 games all the Korean and Chinese observers were referring to "gjopok" as Lee Sedol and "idontca1" as Park Junghwan. Their confidence makes me believe that media in Asia already revealed the true identity of the finalists. Thank you for the coverage of this. Has been really fun to read. Parik, thank you very much for your work. 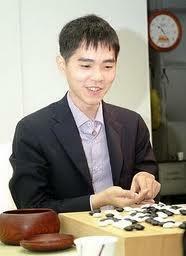 (By the way, "bohdan" already pointed out at 30.04.2011 that "idontca1" is not Lee Sedol).